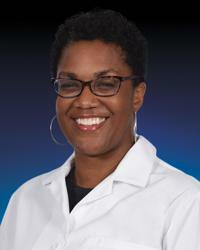 Dawn Johnson Leonard, MD, FACS, a native of Olney, Md, is a fellowship-trained breast surgeon and the Site Director of the MedStar Breast Health Program at MedStar Montgomery Medical Center. Dr. Leonard offers expertise in all aspects of breast surgery and leads an interdisciplinary team of specialists who work together to provide personalized treatment plans for each patient. She provides specialized education to breast cancer patients as well as patients with a high risk of developing breast cancer. Dr. Leonard is board-certified by the American Board of Surgery and is a fellow of the American College of Surgeons. Dr. Leonard resides with her family in Montgomery County.